Can be found through the northwest corner of El Cajon Blvd and Baltimore Dr. The store has a walk-in space with plenty of available parking. Check the location out via the San Diego Metro Transit: Bus line #1 has a stop at La Mesa Blvd and Culowee St. Subway, Himalayan Cuisine, El Pollo Loco, and Aliberto's Taco Shop are just a few restaurants around the ACE Cash Express location. Stores such as Autoland, The UPS Store, and Harold's Automotive are also not too far out. Do you find yourself needing some emergency money to pay rent, a medical bill, or some other expense? Don’t be stressed out! 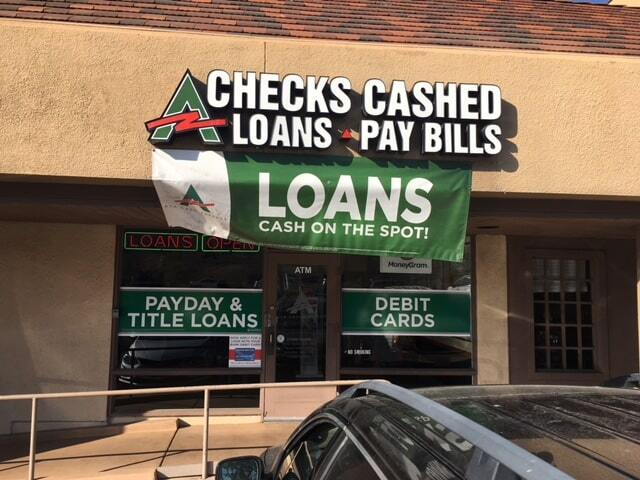 With an auto title loan powered by LoanMart, you may be able to receive up to $30,000 when you visit ACE Cash Express!1 With financial support, La Mesa residents could receive peace of mind. Quality Customer Service – It can be frustrating when you have a simple question and there is nobody around to answer it. That’s why with an auto title loan powered by LoanMart, borrowers have access to a helpful customer service team available seven days a week with extended hours! All it takes is 5 minutes to get started on the path towards financial success.1 3 Apply for an auto title loan powered by LoanMart by calling the toll-free number, sending an email, using the “Chat Now” feature, or by visiting an ACE Cash Express location near you to apply in person!